If you’re tired of staring out your back window at a patchy lawn with barely any character, it’s time for a change. Instead of throwing in a tree or shrubs, install a waterfall feature to the space to add romance, beauty and a mesmerizing sound that relaxes any worried mind. 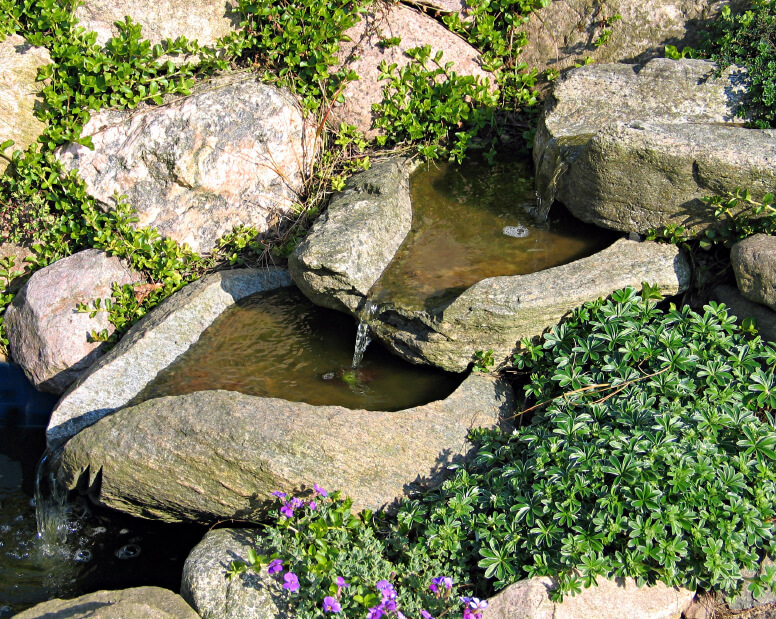 Backyard waterfalls don’t have to be huge investments—they can be affordable miniature versions of lost forests and streams right in your own backyard. 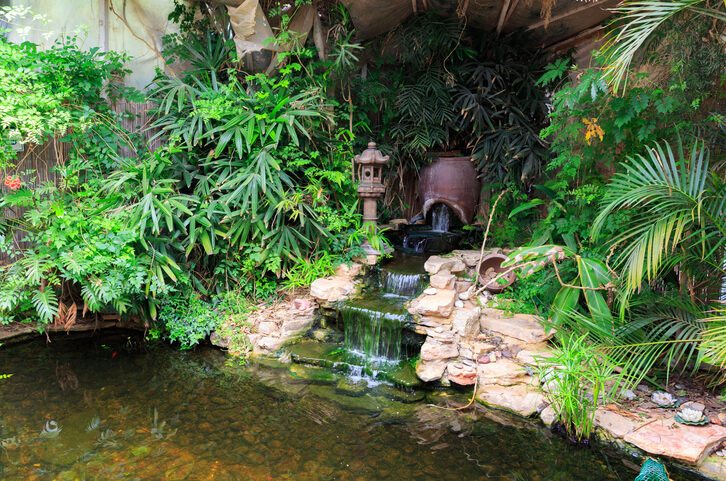 A traditional way to create your dream waterfall is building a pond and rock formation. The pond is typically excavated and filled with a liner to hold water safely. Contractors use that excavated earth to create a slight mound for a rock formation. They’ll embed rocks and pebbles to make a slope for the flowing water. Between pumps, material and labor, this waterfall is majestic but does have a higher price tag compared to other creative water feature ideas. If you absolutely have no room for a pond, there’s always the rock formation idea coupled with a small excavation. The excavation is actually a tiny trench to catch the flowing water. Inside the trench holds the water pump to constantly refresh the waterfall above. You simply need enough room for a small rock formation, such as near a patio or sitting area. The rock formation doesn’t even have to be tall, only big enough to provide enough slope for gravity flow. When you truly have no space in the backyard, consider a waterfall fountain. Place these compact waterfalls on a porch, balcony, or other small area for a flowing sound. You’ll typically need an electrical outlet nearby to power the pump, but otherwise the product is completely maintenance free. Because of its size, it doesn’t take too much power on a daily basis. 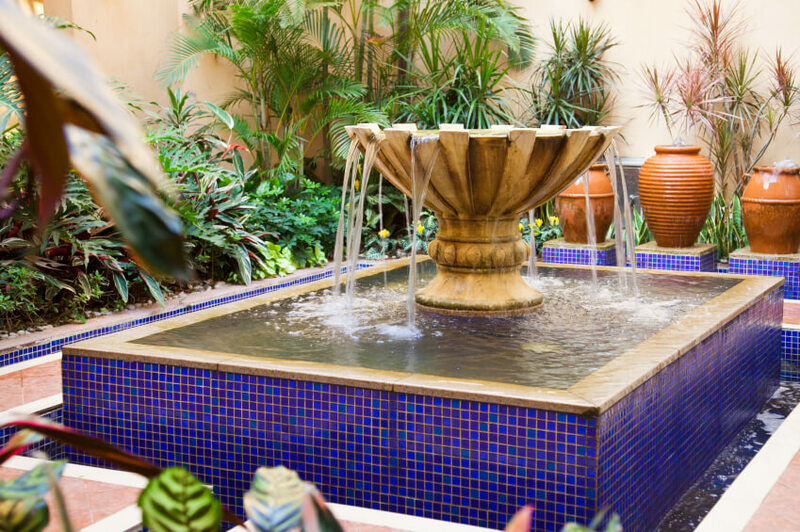 Cleaning the fountain is a snap, allowing you to concentrate on other interests while still retaining a relaxing water flow. 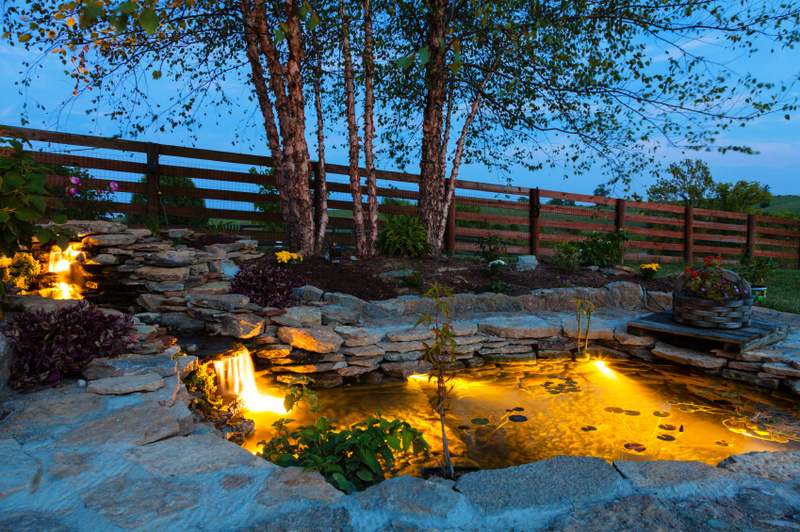 For homes with a relatively large yard, choose a meandering waterfall stream. Especially if you have a natural slope to the property, use this angle to move water down an excavated site built to look like a small stream. It can pass by a patio and garden as the water returns through a pump to the start of the flow. Visitors will love the natural look and sound throughout the backyard. Whether you decide to tackle the project yourself or hire a professional, a backyard waterfall adds distinction and even value to the property. Homebuyers, for example, could fall in love with your backyard while paying top-dollar for its purchase. Enjoy the lovely outdoors with soothing water motion.